Heard of surfactant leaching? Indawo explains all you need to know about surfactant leaching, painting Cape Town, Western Cape, painting Johannesburg, Gauteng, painting Pretoria, Gauteng, paint failure, paint streaking, paint streaks, steaking of paint, paint smudging, paint smudges, paint blotches, unsightly paint marks, white wall marks, white paint streaks, call Indawo today for your paining projects, it will be the best call you make! Heard of Surfactant Leaching? Indawo explains. Also referred to as exudate staining or weeping, this results in unsightly, oily residue on the surface of paint coatings. 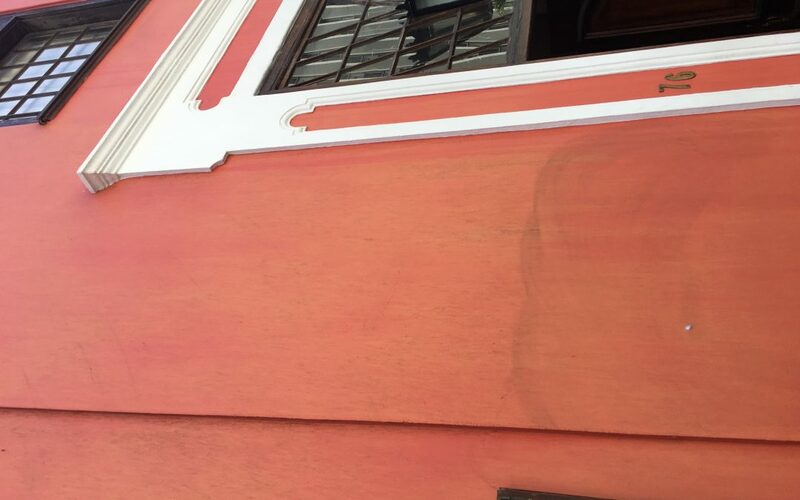 Largely due to water-soluble properties (surfactants or surface active agents) concentrating on the paint surface, symptoms appear within weeks of first application of the affected product. According to building refurbishment company, Indawo, surfactants are used in paint and, among other properties, allow for easy coating of a surface. Surfactants influence a range of properties in paint including paint colour and stability, but are not always effective in every application. Surfactant leaching is a paint failure that manifests as either brown or clear sticky, sometimes glossy, spots or streaks. Barend Engelbrecht, Indawo’s General Manager, says that surfactant leaching can occur with any paint, and is influenced by atmospheric conditions, which could slow down the drying process, conditions conducive for surfactant leaching. These include cooler and wetter weather where there is a lowering of temperatures, an increase in humidity, dew forming on surfaces or misty conditions. Surfactants rise to the paint surface depositing residue prior to the formation of the paint film, which is designed to reduce the risk of surfactant leaching. Use reputable paint manufacturers and a compliant contractor with the status of “approved applicator” with the paint manufacturer. Never apply paint in low temperatures (below10 degrees Celsius), especially if conditions are expected to plummet overnight. In some cases, surfactant leaching symptoms can be rinsed off with steady, strong stream of water. Engelbrecht concludes by saying that there is not always cause for alarm. Weathering may remove the stains and surfactant leaching does not affect the coating’s durability. Do not repaint as this may lead to further surfactant leaching on the new coat and affect the adhesion of the newly applied top coat. Rather leave the wall for a short period to allow the coat to dry and adhere to the surface. If signs are still apparent, contact the paint supplier and the contractor to assess the reason for the paint failure. For any waterproofing, painting, flooring, roofing, asbestos removal, building refurbishment project sin Cape Town, Western Cape or Johannesburg or Pretoria, Gauteng, be sure to call Indawo…it might just be the best call you make today!